Become a Herd Fellow at The Grassfed Exchange! Calling young farmers and ranchers! 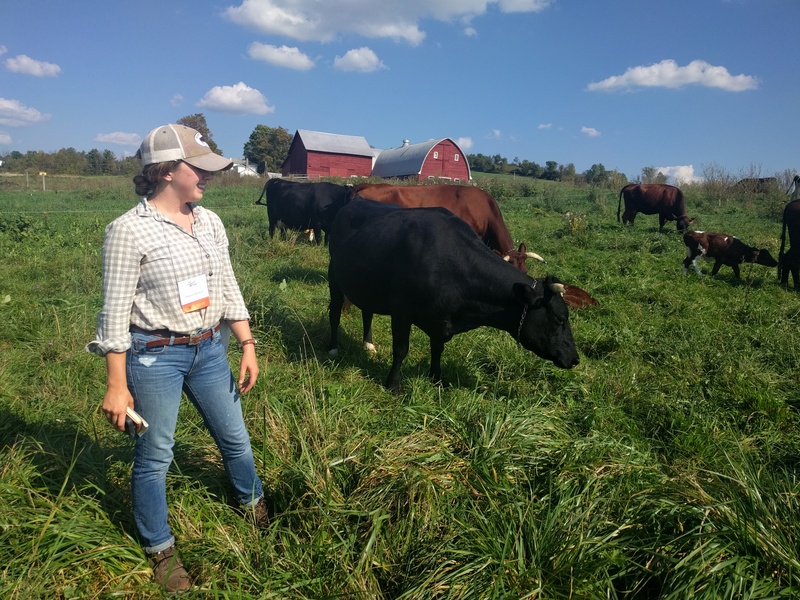 Apply for The Herd Fellows Scholarship for Grassfed Exchange 2019. This year’s theme is Regeneration Rising, for new farmers and ranchers. Scholarship: Herd Fellows get a full ride to the Grassfed Exchange conference, which also includes full travel and lodging. We spotlight Herd Fellows and connect them with mentors. In addition, join an alumni network of 100+ Herd Fellows from The Grassfed Exchange or Quivira Coalition conferences. Herd Fellows are supported by our friends at TomKat Ranch, Paicines Ranch, Armonia, and the 11th Hour Project. Eligibility: Any new or young farmer, student, intern, or apprentice under 35 or veteran under 45. Regeneration Rising 2019 is April 3-5 in Santa Rosa, California. consumer awareness about soil health and biodiversity practices. It is also a strong and resilient farming community that still recovering from recent wildfires. More importantly, this year’s conference theme is Regeneration Rising, because we are empowering the next generation of farmers and ranchers. It’s about you. “We believe strongly in a diverse and inclusive community of new farmers and ranchers. If you aren’t sure whether you should apply, you should! We want you here.” Our CEO, Christine Su, is co-chair of the Grassfed Exchange 2019 conference. Our mission is to empower the next generation of regenerative farmers and ranchers. That’s why the PastureMap team is dedicating months of volunteer time to The Grassfed Exchange. Pasture tours led by young producers.